If you have never read any of the books from the Heirloom series, you are seriously missing out. If you are an avid amish reader, this series is for you! If you have never read an amish book in your life, don't worry, this series and book still is for YOU! 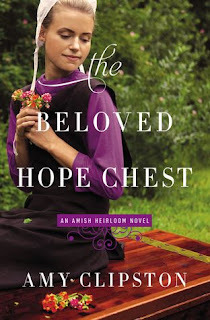 The Beloved Hope Chest is by far my favorite book to date that Ms. Clipston has written. Imagine your married to one man for the rest of your life when an accident takes him and your world is turned upside down. Then, you not only lose him, but something else so precious and dear to you. This is a story of grief, faith, love, forgiveness and redemption. It is a story where we see how God is working even when we do not always see the full story or what He is doing, but we know He has a good plan. This book will make you laugh, cry and you'll be rooting for Leroy! Although this is part of a series, it can be read as a stand alone, but I highly recommend reading the entire series, you won't regret it. This book has me still thinking on certain days as I am so deeply connected with the character of Mattie. Thank you to author for providing me an ARC copy. A positive review was not required. I give this book 5/5 stars. The opinions expressed here are my own. To pre-order a copy, head here! Make sure you order your copy today! You don't want to miss this final book in the series!! 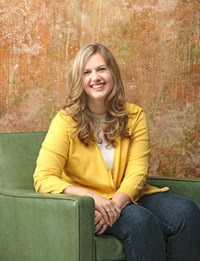 If you would like to learn more about Amy, please visit her website. She is a very talented author that has expanded her writing beyond this beautiful memoir, but is now know for writing two wonderful Amish series including the Kauffman Amish Bakery Series and the Hearts of the Lancaster Grand Hotel Series. She has written several novella's and has just recently released her newest title a Cherished Quilt. Oh, I love Amish books! I love a good Amish book. Thank you for sharing it with us.